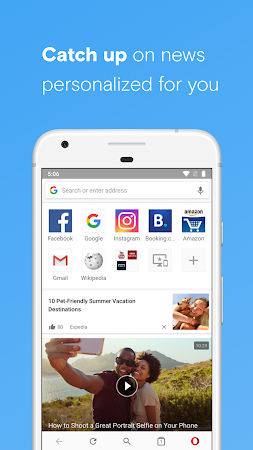 Opera browser is a fast, safe web browser for your Android device, featuring a rebooted news feed, a built-in ad blocker and free VPN. 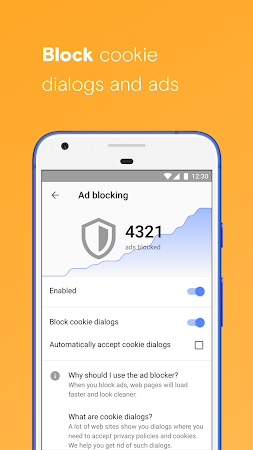 Top features Block ads for faster browsing: Opera's native ad blocker effectively helps you get rid of intrusive ads and loads your pages faster to streamline your browsing experience. The antivirus report demonstrates that the app is totally safe. Opera is the creator of Opera with free VPN that can be found in the Communication category. On Google Play, this application has been rated 4.4 by its users. The most recent update of Opera with free VPN was launched on Mar 29, 2019 and the app has been installed by over 100M users. There are adverts in this application. Samsung and Nokia users install the app quite often. 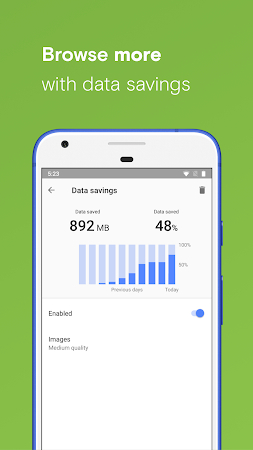 Download the .apk file of Opera with free VPN 29.0.1809.93516 free of charge and check out users' reviews on Droid Informer. The installation package occupies 19 MB on disk. From the users' point of view, the app possesses the following pluses: a simple user interface, great performance, low data consumption, automatic updates and low power consumption. Some users indicate that the main disadvantages of this application are ads everywhere and annoying notifications. It is divided into three parts: 1) Speed Dial 2) Discover 3) Bookmarks. In Speed Dial, you get an easy access to your favourite websites. Discover provides you every news around the world in a attractive way. Bookmarks gives a detail view of your bookmarked sites. Pros:- 1. Its UI is simple. 2. Discover provides one stop solution for news. 3. It provides off-Road mode. Our View - Pick it. A lite web browser with two tabs in one display. It is designed for parishioners on the go..! It is made to browse the internet, read news. 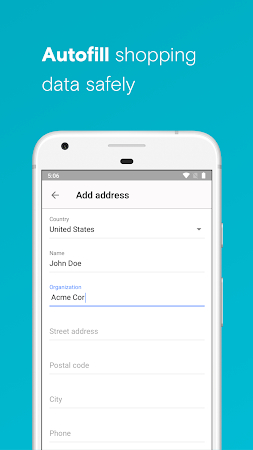 Create a fake call with your phone without actually being called. It is a fast and cheap VPN build to protect you and to guarantee your online safety. Help us test our new app! 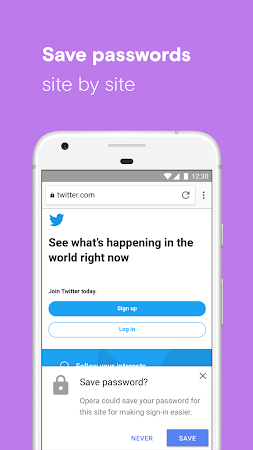 We just made a new Opera browser for Android. Download Opera Mini beta for Android. We know you like to browse the web when you're on the go.